Thank you all! I appreciate each and every one of you for my care. You all took the extra time to guide me and to teach each step of the way! You all made treatment easy and fun! What an awesome team! Just wanted to thank you all for being such a great personable and professional staff. Working with each one of you has been so easy and I know you all were out for my best interest. Can’t thank you enough for caring the way you do. Blessings to all and I look forward to seeing you soon! Thanks again! I have had varicose veins since I was 27 years old. Thinking that it was cosmetic and my insurance would not cover it, I waited until I was 43 years old. I went to Vincent Vein Center in Denver. The staff, Dr. Vincent, Janette, Cory, and Laney were very helpful answering insurance related questions. My health concerns were addressed and the information was easy to understand. I no longer have swelling of my legs or discomfort. The results met all of my expectations. It has made me feel like a new person. I wish I wouldn’t have waited so long. 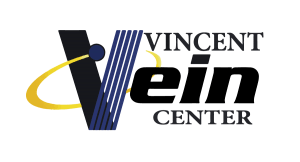 If you would like to share your success story, please contact Vincent Vein Center via email at info@vincentvein.com or use the contact form on the left. Hear From a Vincent Vein Center Patient!